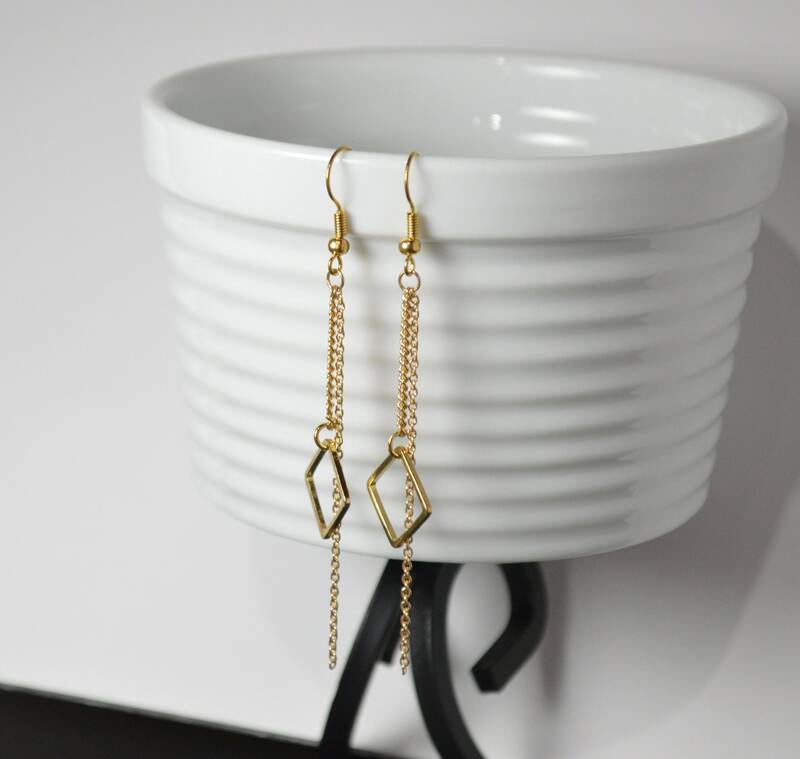 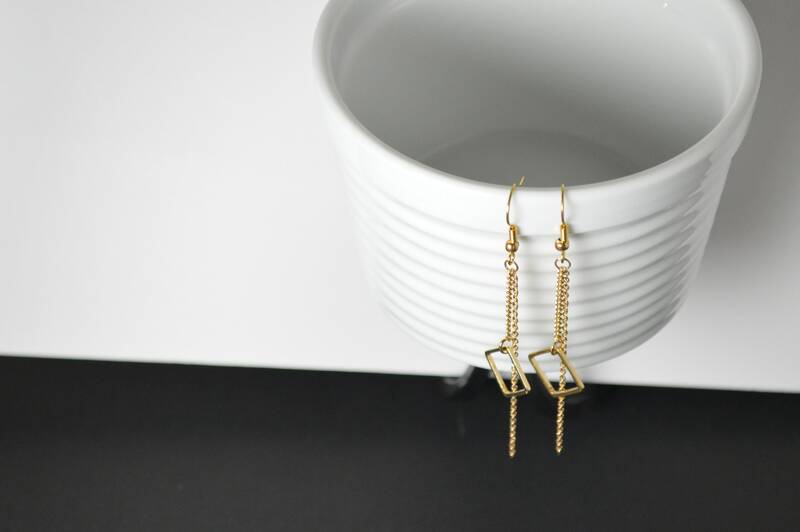 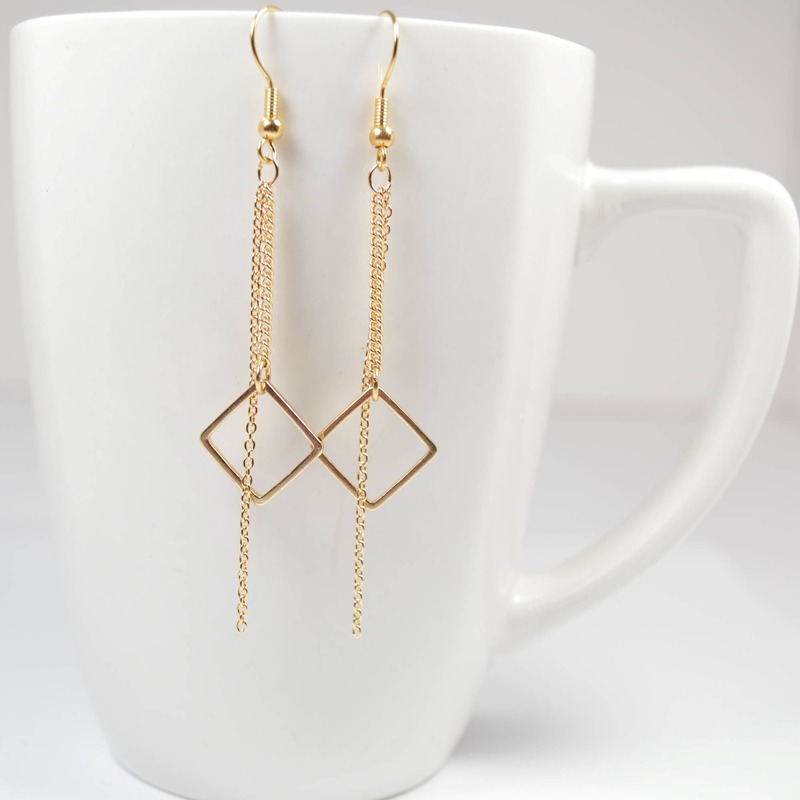 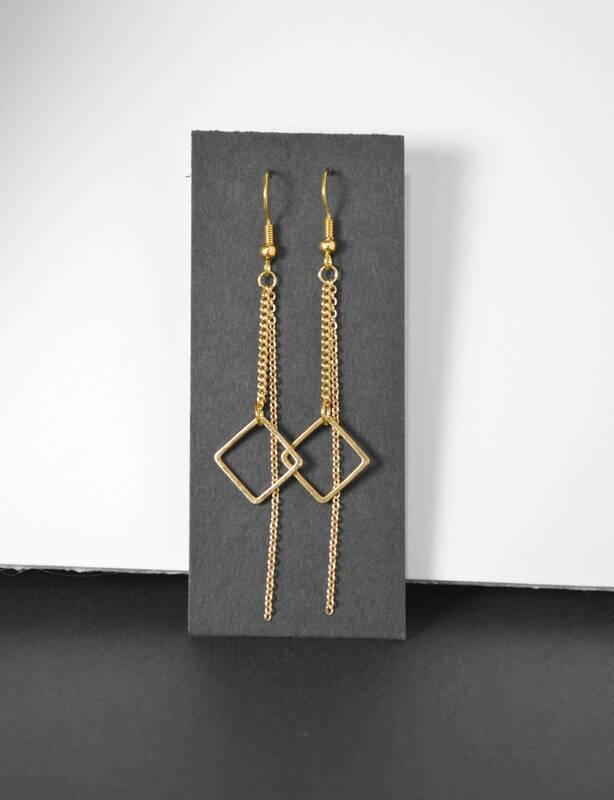 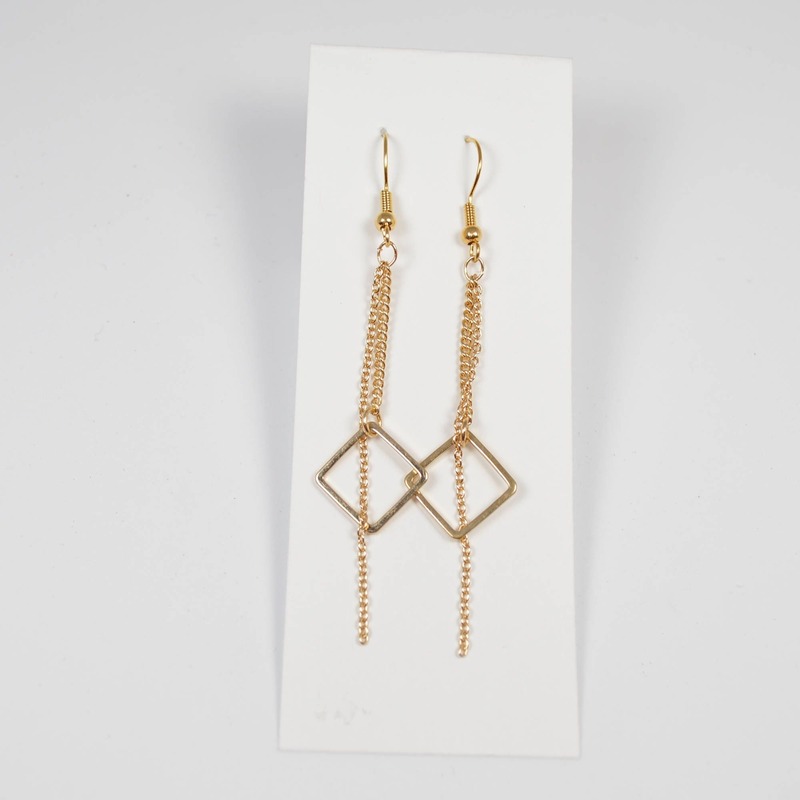 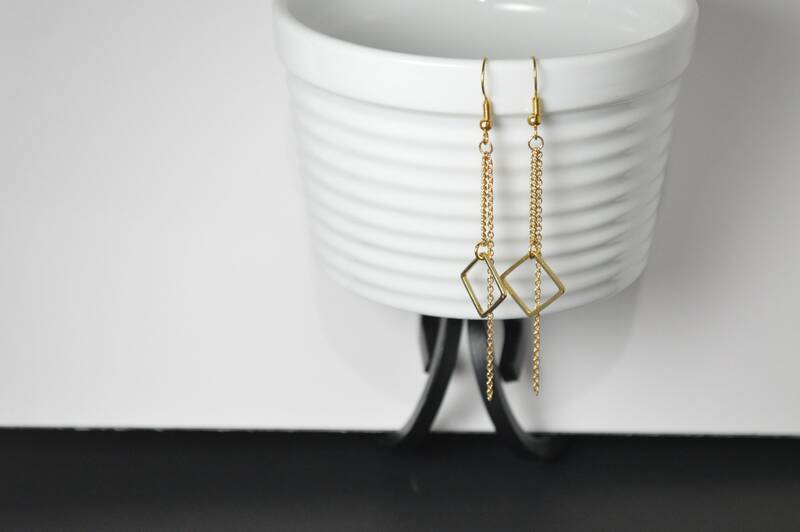 These long, sleek geometric earrings feature a gold open diamond hoop suspended on 14k gold dipped chain. 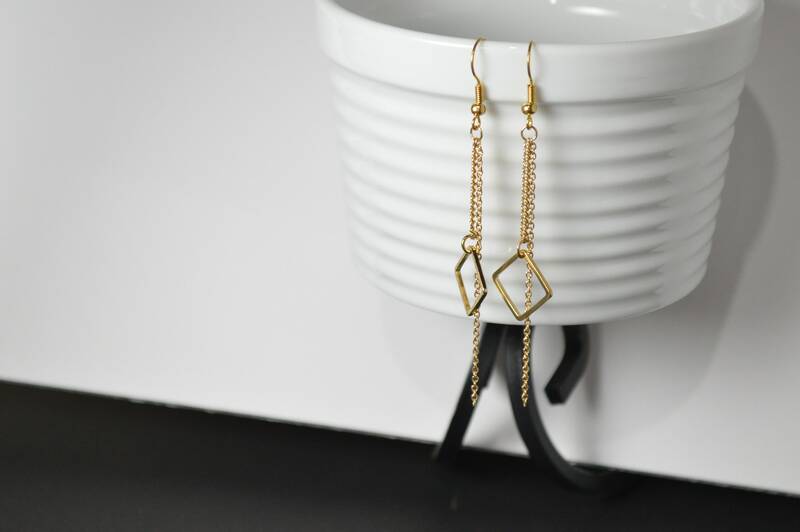 They measure approximately 3.25"
Very Chic & Unique! 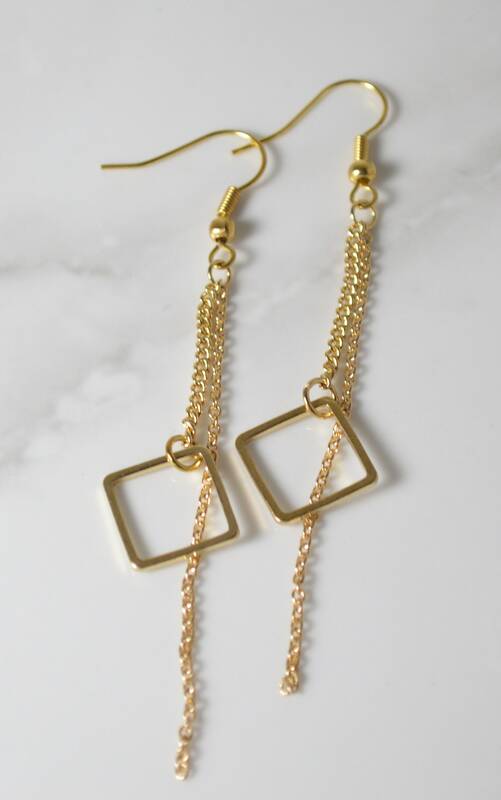 I love how dainty and lightweight they feel!